In 1957 Martin Cleeve gave details of a swing clear boring tool in the Model Engineer Magazine. He was a very inventive man and bearing in mind that he earned his living in his workshop, the tools he made had to stand the test of time. His version of the tool was a very substantial affair and it had to stand up to the wear and tear of a commercial engineering workshop. 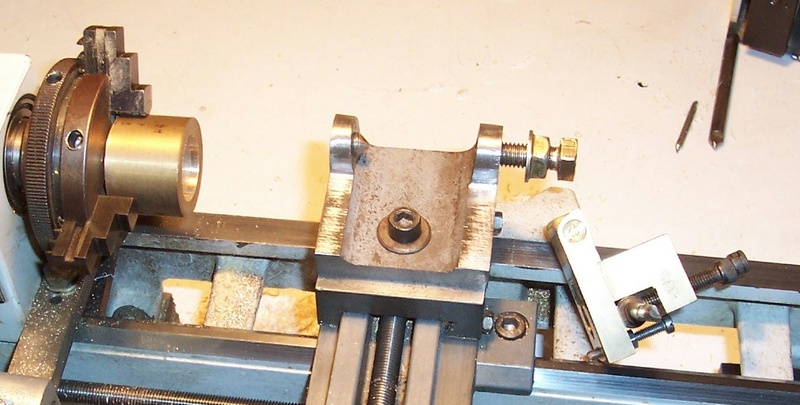 My version is not so grand but for a clockmakers workshop his reasoning still holds true, the tool has to be rock solid with no play in the bearings. I chose cone bearings (a long standing favourite of clockmakers). The main base plate was made from 2x2x1/4� steel [_] channel and the cone bearings are 8mm diameter steel, turned and polished to 90deg. The tool holder platform is made from a piece of 10mm thick brass plate with a 90deg countersink at each side. The platform has a tool holder for the boring bar. Looking at the lathe, the left hand cone was drilled, and held with a 3/32 diameter taper pin, and filled flush, this allows the tool access near the headstock. In use, the right hand cone is tightened with some force and the lock nut is used to keep the setting. Most of the time in a clockmakers workshop we work to fits and this can lead to many trial and error situations. 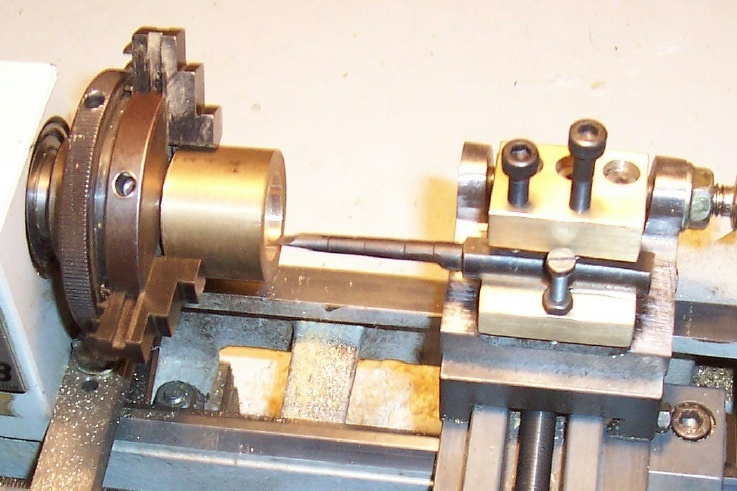 Some of the smaller lathes do not have an apron with rack and pinion movement that can whiz up and down the lathe bed, so how can this tool be of benefit. 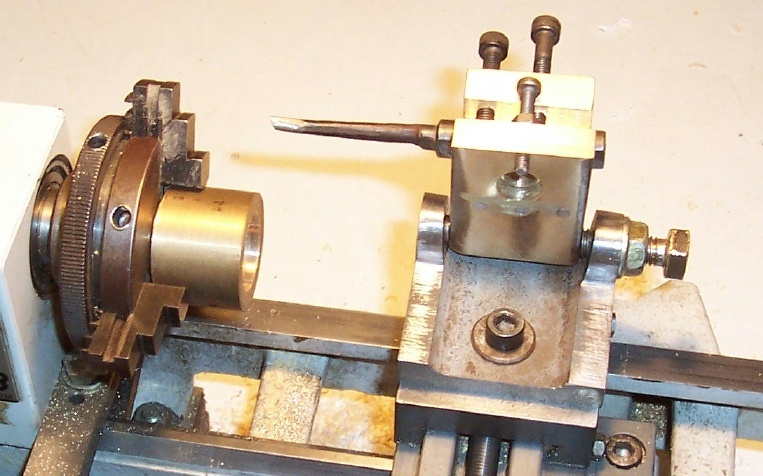 Take a typical situation in clock making, boring a pinion head/hour pipe/wheel centre. With this tool you can take a shaving off the bore (dust) and swing the tool out of the way to gain access for fitting the arbor or part.